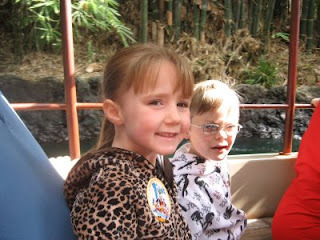 This ride was the Jungle Cruise. This was our very first ride. We rode it twice, once in the morning and again at night. This ride was actually pretty cool in the dark!